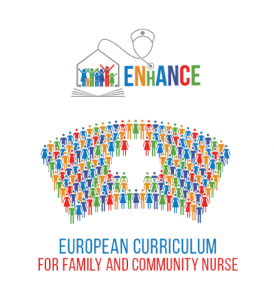 In the context of the ENhANCE project, existing WHO frameworks1 defining core competencies of a family health nurse and in community nursing were used as a basis to develop and agree on the core competencies of the Family & Community Nurse (FCN). A panel of 23 experts from 10 different countries (representing nursing academics, regulatory board members, nursing service directors, and experts of family and community nursing) participated in three e-Delphi rounds. Each competency was correlated to meet the ESCO competencies2 of the Advanced Nurse Practitioner. 2 ESCO is the European multilingual classification of Skills, Competences, Qualifications and Occupations. ESCO works as a dictionary, describing, identifying and classifying professional occupations, skills, and qualifications relevant for the EU labour market and education and training.